CONTACT ADDRESS: Hadagadia Sahi, Puri-752001. Odisha. FAMILY: Son of Dayanidhi Patra and Kuntala Patra, Rakesh has one elder sister in Rosalin. ACADEMIC QUALIFICATION: In 2009, he was a Plus-Two second year student of Panaspada College in Puri district. START OF CAREER: Got into gymnastics after being inspired by uncle Suvendu Patra, a former international gymnasts in 2001. 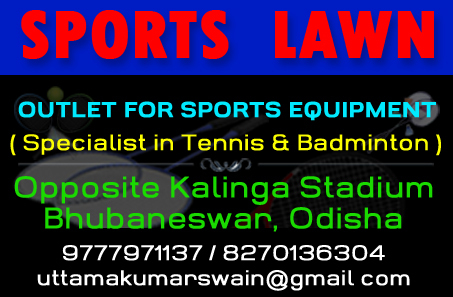 He was a trainee of State Sports Hostel, Puri. * Bagged four gold medals for Services in the 35th National Games, held in Kerala from February 1 to 14, 2015. The four gold medals came in men’s team event, individual all-round event, horizontal bars and roman rings. * Won three and three silver medals in the 53rd Senior National Artistics Gymnastics Championship, held at Ranchi (Jharkhand) in 2014. * Emerged all-round champion, bagging six gold and one silver for Services in the 52nd Senior National Artistics Gymnastics Championship, held at Patiala from March 13 to 15, 2013. He won the six gold in horizontal bars, parallel bars, roman rings, pommel horse, team event and allround categories and the silver in floor exercise. * Won three silver medals in the 50th Senior National Gymnastics Championships, held at Erode (TN) from Jan 14 to 18, 2010. * Emerged boys individual all-around champion, bagging a total of five gold, one silver and two bronze medals in the 49th Junior National Championship, held at JN Indoor Stadium in Cuttack from Jan 28 to Feb 1, 2009. * Won two gold, three silver and one bronze medals in the 54 th School National Games, held at Hyderabad (AP) from Dec 24 to 30, 2008. 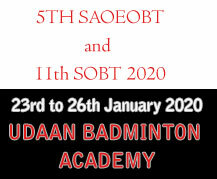 * Won six silver medals in the 53rd School National Games, held at Agra (UP) from Dec 26 to 31, 2007. * Won two gold, two silver and one bronze medals in the 48th Junior National Gymnastics Championships, held at Jalpaiguri (WB) from Nov 24 to 28, 2007. * Won one gold and one silver medals in 52nd School National Gymnastics Championships, held at Hoogly (Kolkata) from Feb 10 to 14, 2007. * Won three silver and two bronze medals in the 20th Sub-junior National Gymnastics Championship, held at Mohali (Punjab) fom Dec 27 to 31, 2006. * Won four gold, two silver and two bronze medals in the 51st School National Gymnastics Championship, held at Warangal (AP) from January 16 to 19, 2006. * Won three silver and two bronze medals in the 19th Sub-junior National Gymnastics Championship, held at Munbai from Nov 12 to 18, 2005. * Won one silver and two bronze medals in the 50th School National Gymnastics Championship, held at Pune from January 3 to 8, 2005. * Won one bronze medal in the 49th National Games, held at Kolkata from February 3 to 6, 2004. * Won two silver and one bronze medals in the 18th Sub-junior National Gymnastics Championship, held at Chandigarh from Nov 12 to 16, 2004. * Made national dubut in the 2002 Sub-junior National Championship at Hyderabad and helped Orissa boys win the team title. * Represented India in the 17th Asian Games, held at Incheon (Republic of Korea) from Sept 19 to Oct 4, 2014. * He has so far won 11 international medals, which include four gold, three silver and four bronze. * Won one bronze medal in the Commonwealth Gymnastics Championship, held at Perth (Australia) on April 27 and 28, 2014. * Represented India in the 44th World Artistic Gymnastics Championship at Antwerp (Belgium) from Sept 30 to October 6, 2013. * Participated in the FIG World Cup in Belgium from Nov 3 to 4, 2011. 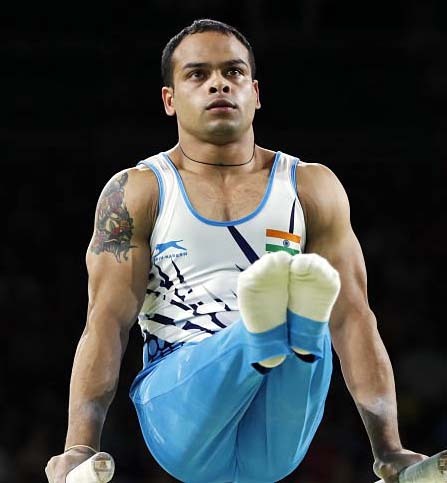 * Represented India in the 43rd World Artistic Gymnastics Championship at Tokyo (Japan) from October 7 to 16, 2011. * Represented India in the XVI Asian Games, held at Guangzhou (China) from November 12 to 27, 2010. * Represented India in the Commonwealth Games, held at New Delhi from October 3 to 14, 2010. * Participated in the FIG World Cup in Belgium from Sept 11 to 12, 2010. * Finished 8th in the 3rd Art Gymnastics FIG World Cup held at Doha, Qatar from March 22 to 24th, 2010. * Finished fifth in the 11th Asian Junior Gymnastics Championship, held at Tokyo from March 16 to 13, 2010. * Participated in the World School Games at Doha, Qatar from Dec 7 to 12, 2009. * Bagged four gold, two silver and one bronze medals in the 34th Tulit Peter Memorial Cup Gymnastics Championship held at Budapest in Hungary from Dec 12 to 14, 2008. He was adjudged as the best gymnast of the championship. * Bagged silver medal in pommel horse and bronze in individual all-round event of the 33th Tulit Peter Memorial Cup held at Budapest in Hungary from Dec 10-12, 2007. * Won one bronze medal in parallel bars at the Russain Gymnastic Championship at Istanbul in 2006. * Won one bronze medal in the 32nd Tulit Peter International Gymnastics Championship, held in Hungary from Dec 10 to 11, 2005.